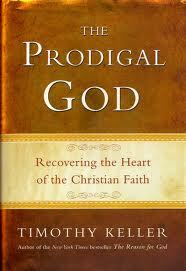 The following book review by Glenda Mathes appeared on page 40 of the April 11, 2012, issue of Christian Renewal. Timothy Keller; Dutton: New York, NY, 139 pp. The parable of the Prodigal Son had always been a bit problematic for me. I easily identified with the older son, who seemed to have a legitimate gripe. And I’d never felt as if I really understood the point of the parable. Sure, we’re supposed to forgive the wayward sinner who repents. But what about that older son? Of course, he should have shown more love toward his brother, but didn’t he make some valid points? So glad to see your review of this book! I have also read it recently after a sermon series on this parable and hearing recommendations from pastors. It is not a lengthy book so is easy to read and well worth the few hours spent! It was convicting, brought new clarity to a well-known parable, and gave a deeper sense of what God has done for us and how we response to that and in turn show compassion to others.